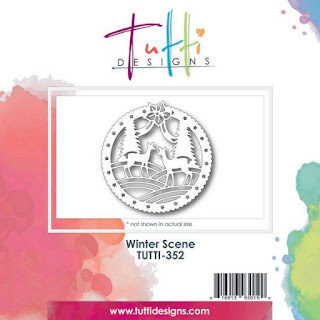 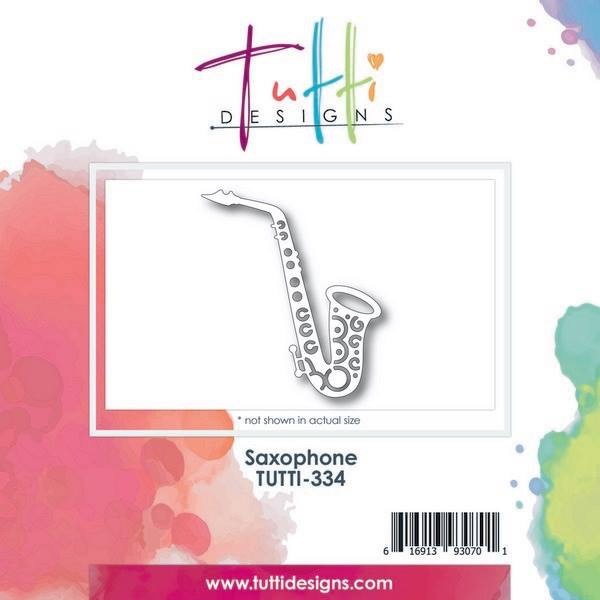 Tutti Designs: A Winters Scene, perfect for Christmas. 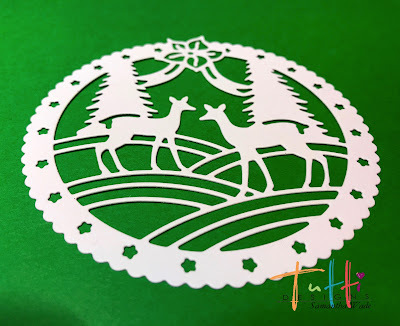 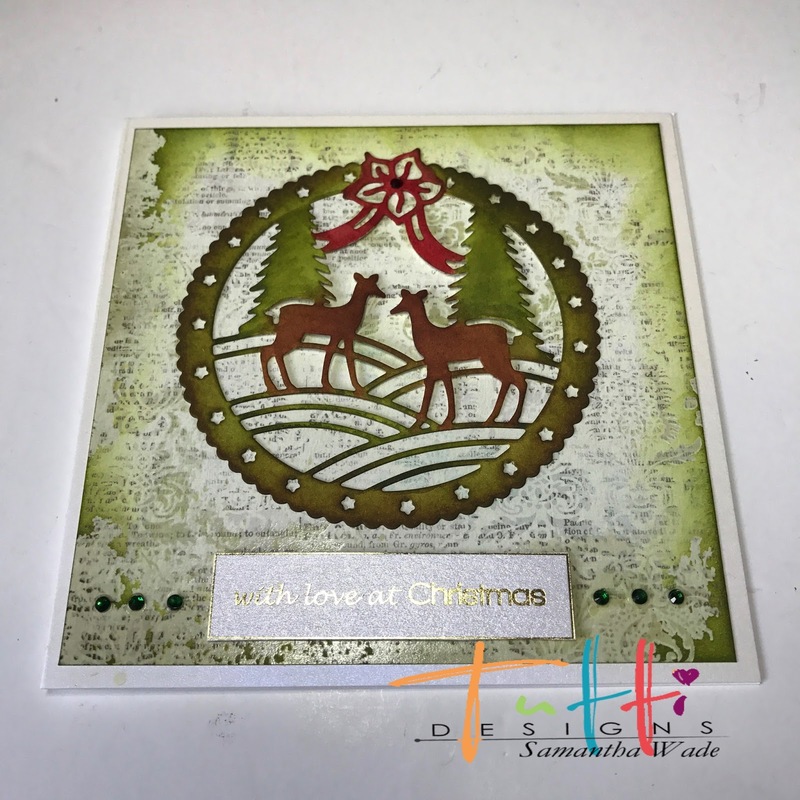 Die cut with white stamping card. 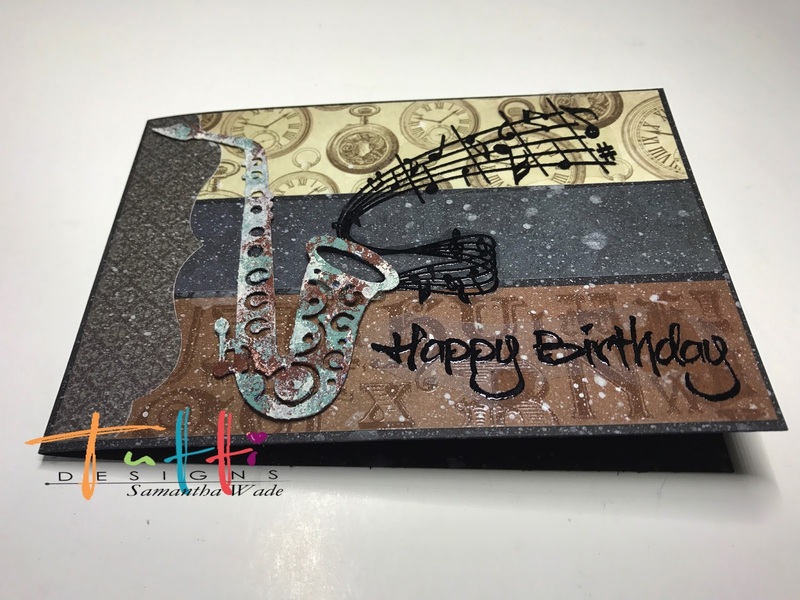 Colour with Distress Inks, peeled paint, vintage photo and fired brick and a water brush. Choose a matching background and ink around the edge with peeled paint. 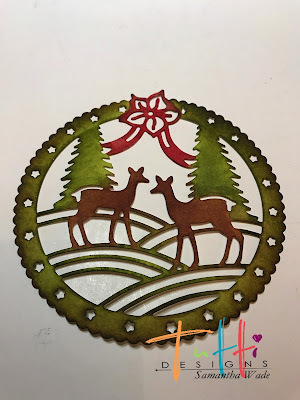 Glue the background and die cut onto the card and add the sentiment to finish. 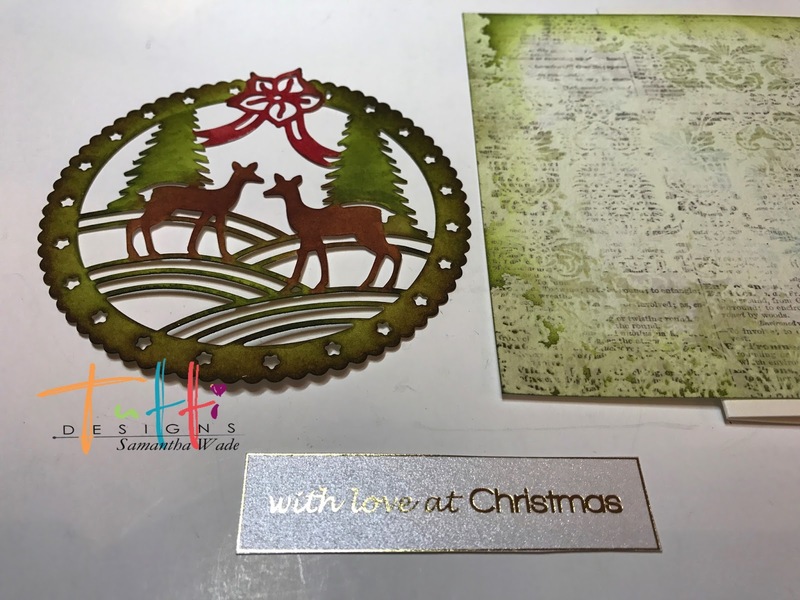 The perfect quick and easy Christmas card.